The LiveGAPS team have released a new app to compare nutrient production of livestock by farm size for Tanzania, Nigeria and Ethiopia. With this app, you can visualise the quantity of different nutrients, for example protein, that is produced by livestock from farms of different sizes. The data shows that small farms (<20 ha) produce the majority of protein for Tanzania, Nigeria and Ethiopia, with very small farms (<2 ha) contributing a considerable amount of protein. Check out the nutrient production app on the LiveGAPS website. Jeda Palmer is a research technician in the CSIRO Global Food and Nutrition group, based in Brisbane, Australia. Pastoralist livestock keepers in Tanzania knew for some time that their sheep and goats were succumbing in large numbers to a neurological disease known locally as ormilo, but until recently this threat had gone largely unnoticed by the scientific community and the veterinary services. Now, researchers, from the University of Glasgow’s Institute of Biodiversity, Animal Health and Comparative Medicine (IBAHCM) and the Nelson Mandela African Institution of Science and Technology (NM-AIST), have identified the culprit as the dog tapeworm Taenia multiceps, opening the door for potential solutions. 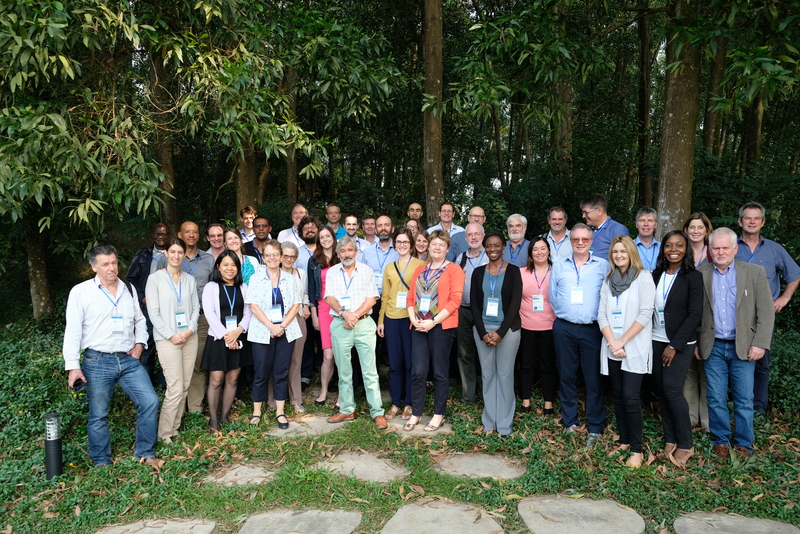 In November 2018 the Livestock Data for Decisions (LD4D) Community of Practice met in Hanoi, Vietnam, to discuss big questions in the livestock data sphere, assess progress to date on collaborative working groups, and map out next steps. LD4D members report back from the CGIAR Platform for Big Data in Agriculture Convention, which took place 3-5 October in Nairobi, Kenya. Today, the United Nations Food and Agriculture Organization (FAO), in collaboration with the Université Libre de Bruxelles (ULB) and other partners, releases a new, 10 km global dataset of livestock distributions: the Gridded Livestock of the World, version 3.0 (GLW3), published in Nature Scientific Data. GLW3 has a reference year of 2010 and includes global distributions of cattle, buffaloes, sheep, goats, horses, pigs, chickens and ducks at a spatial resolution of 5 minutes of arc. The digital maps in geotiff format are freely available for download via FAO’s Livestock Systems website, which also provides data on production systems and links to resources related to sustainable livestock sector development. Timothy Robinson, Livestock Policy Officer at the FAO, who co-led GLW3, answers a few questions about this new data.